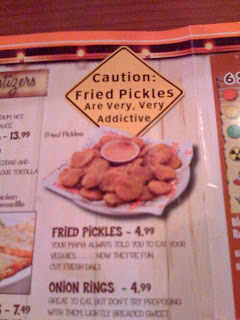 Views From the Lamb's Herd: Fried Pickles at Hooters? And they were good! I'm so glad I learned about posting pictures directly from my iPhone to Blogger!